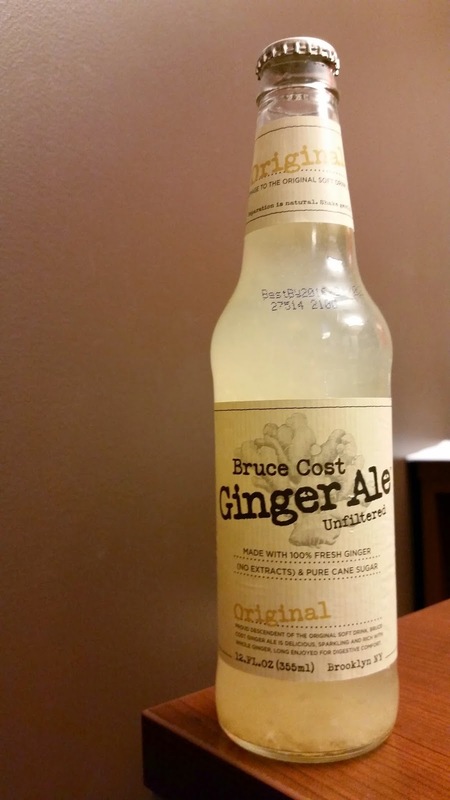 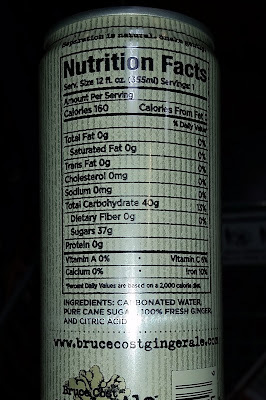 Bruce Cost Ginger Ale Original - AoM: Beer et al. This Bruce Cost Ginger Ale was sweet. 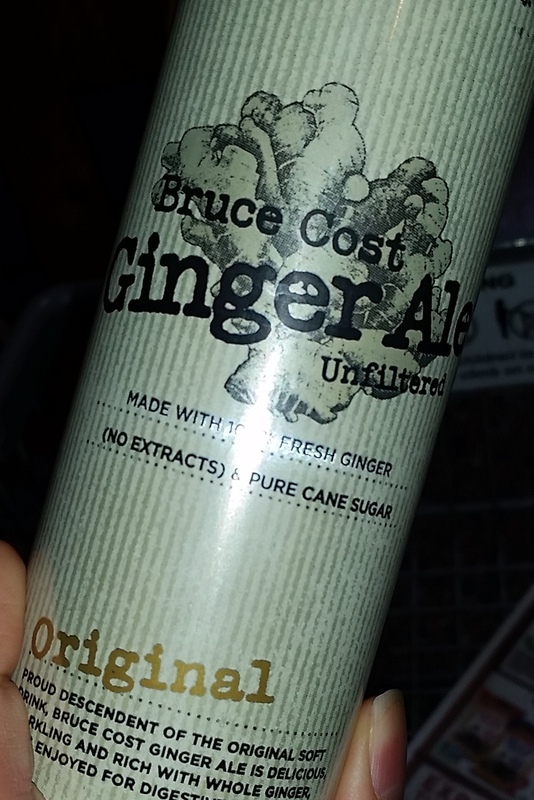 There's some stickiness despite the use of cane sugar. There was a light spice which I would expect from the ginger. As a matter of fact, it was left outside from yesterday and so it was warm (room temperature), but it was still absolutely delicious. 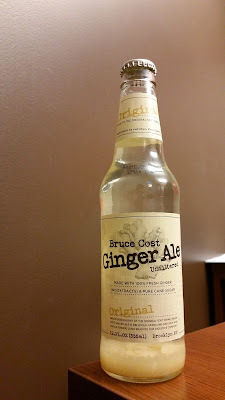 Made with only fresh ginger (no extracts or oils) and pure cane sugar, this is a fundamentally simple, delicious and spicy beverage. 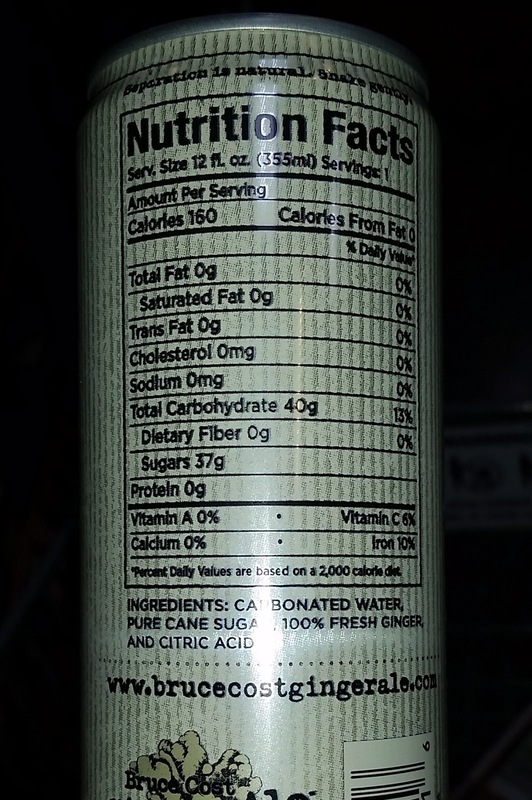 Unfiltered and rich with ginger particles, it provides iron and a little vitamin C as well as refreshment.